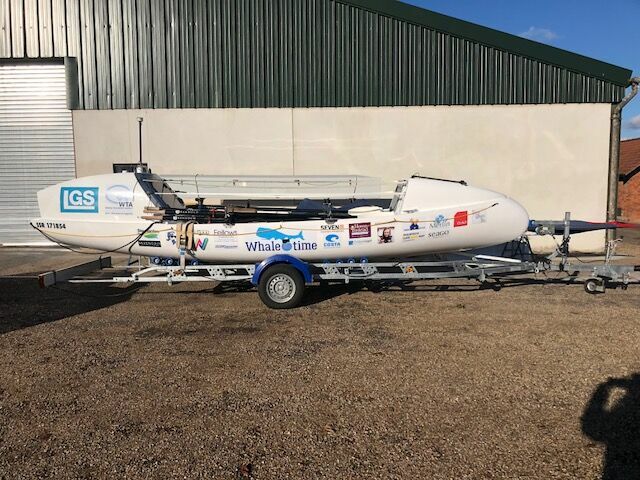 On December 12th, Lauren Woodwiss and Jemma Rix will board their 2-person rowing boat at San Sebastian on the island of La Gomera, just off the west coast of Africa, in an attempt to row unassisted across the Atlantic Ocean. Setting sail in the twin girl-powered (and aptly named) Boudicea, the two friends are taking part in the Talisker Whisky Atlantic Challenge, regarded as “the world’s toughest rowing race”. 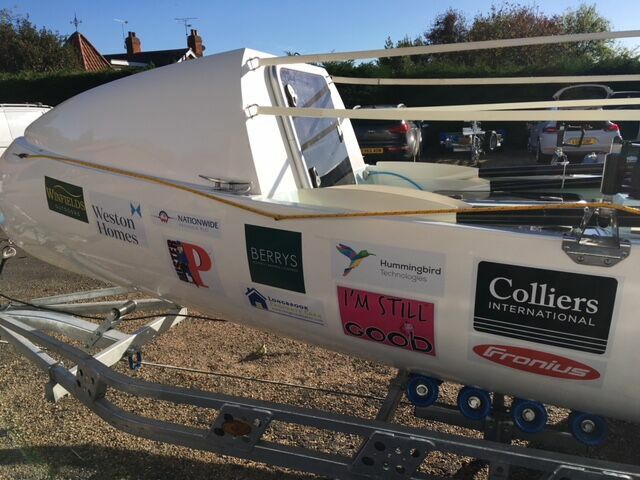 Colliers is delighted to be sponsoring Lauren and Jemma in what promises to be a massive personal undertaking and an extreme test of physical and mental endurance amid searing equatorial heat and 40 foot waves. The crossing is particularly momentous given that only 7 female pairs have ever successfully completed the voyage. Despite those odds, the girls plan to smash the existing record of 50 days and 7 hours. “One of the best things about this challenge is that it gives us a fantastic platform to raise lots of money for our three chosen charities – Cancer Research UK, Fareshare, and The Mintridge Foundation – as well as raising much needed awareness about ocean pollution.” All three charities fall under the umbrella of health and wellbeing, two passions shared between the intrepid pair. Cancer Research UK is the largest independent funder of cancer research in the world, supporting scientists, doctors and nurses in discovering new ways to prevent, diagnose and treat cancer. Fareshare helps fight hunger and food waste, redistributing surplus food around the UK to community groups and charities to turn into meals for vulnerable people. And the Mintridge Foundridge Foundation harnesses the power of positive sporting role models to help and influence young people by increasing sports participation, nurturing sporting talent and enhancing life skills. Jemma and Lauren aim to raise over £50,000 from taking part in the challenge, both from corporate sponsorship and by match funding ALL monies raised from partners by holding their own fundraising initiatives. They certainly can’t be accused of sitting on their laurels! The girls expect to be – quite literally – at sea for between 50 and 70 days and will have a gruelling rowing schedule: one hour on, one hour off, every day and every night. They’ll each burn 4000 calories per day and expect to lose 10-15kg of body weight. The race will be tweeted, posted and streamed on numerous social media channels. Last year’s challenge clocked up a social reach of 20 million along with 2.5million pieces of news coverage and an astonishing 80million TV viewers. Meanwhile we’ll be keeping everything crossed for their success, and for their safe – if not dry – arrival in Antigua.